The Football World Cup, 2014 will kick off (literally) in Brazil in a couple of hours. 1. 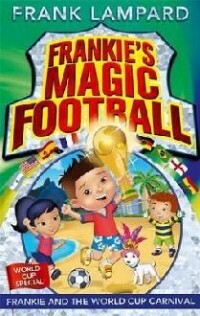 Frankie’s Magic Football: Frankie and the World Cup Carnival written by England’s midfielder, Frank Lampard. He is in the English squad or this World Cup. 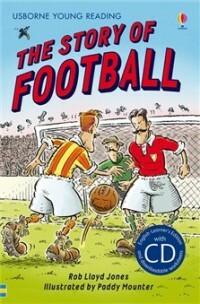 Written for children 5 years and above, this is just one of the many books in the Frankie and the Magic Football series. 2. 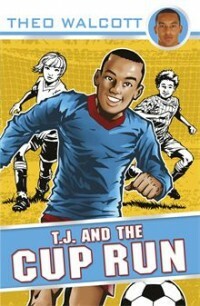 T.J and the Cup Run by Theo Walcott, also plays England, but will not feature in this year’s World Cup due to a knee injury. This book for children 9-11 years old. There are more in this series too – T.J and the Penalty, T.J and the Hatrick, T.J and the Winning Goal. 3. 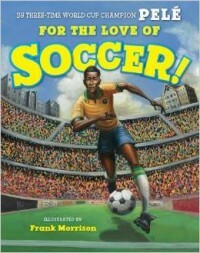 And then there is For the Love of Soccer written by football’s legend, Pele. Those were three books written by football players. Now, if you are wondering how these super busy football players found the time to write a children’s book, read Frank Lampard’s interview with The Guardian’s young reader members. Teachers and educators, find some very useful, free downloadable teaching resources about football in general and the World Cup in particular to use in your class or learning studios here and here. We will keep posting more books on football on our Facebook page everyday for the next one month of World Cup, 2014. Visit our Facebook page daily to discover learning (All about football) through stories. Meanwhile, do you know any other past or present football players who have authored children’s books? Do let us know via and we will add their works to our list. Also, have you used children’s storybooks to teach about sports? Which is your or your children’s’ favorite? Tell us. Ever After is a learning and development organization that uses stories to make education fun for the young and the old. We swear by the power of stories to communicate concepts, inspire individuals and impact lives. Visit our website to know more about Ever After’s services and programs offered. Also, stay connected with us through Facebook or Twitter.